Compliance reviews constitute the core service provided to dealers by Automotive Systems Analysis. Dealer Sales, F&I and Business Office practices relating to sales are reviewed quarterly for compliance with the complex and dynamic legal and regulatory requirements imposed on the industry. A.S.A. 's specially trained staff, in conjunction with its proprietary compliance technology, offers California auto dealers an unparalleled opportunity to evaluate its operations without the regulatory repercussions. Through a confidential reporting process, A.S.A. aims to identify compliance problems or practices in high profile areas that may result in legal or regulatory exposure while outlining processes or processes that may be instituted by the dealer to reduce or altogether eliminate, these adverse trends. The dealership's advertising is reviewed on an ongoing basis for compliance with federal and state laws. A.S.A. reviews traditional forms of advertising including newspaper, television and radio (when available) as well as digital advertisements located on dealer websites . Dealers are apprised of any advertising violations and corrective action that must be taken to ensure compliance. The quarterly compliance reviews include an inspection of specially selected sales/lease documents to ensure compliance with Civil Code and Vehicle Code requirements. Dealer contracts and leases are reviewed for compliance with high profile areas such as Federal Regulation M (leases) and Federal Regulation Z (contracts), compliance with California's "Single Document Rule," deferred down payment laws, handling of trade/negative equity, contract rewrites, foreign language translation requirements and various other areas litigated by civil attorneys. 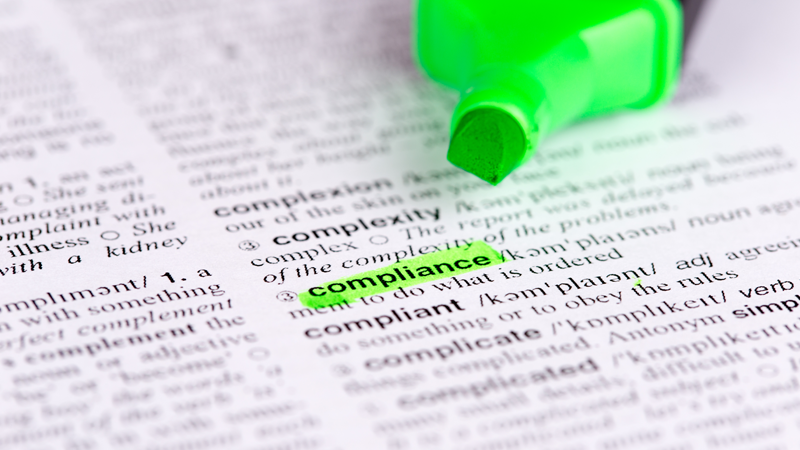 Compliance reviews also includes an analysis into the dealership's disclosure practices. More specifically, sales documents are reviewed for compliance with state used vehicle history disclosure laws (i.e., rental, service loaner, demonstrator, etc. ), material damage disclosure requirements, Federal Trade Commission's Used Car Rule (Buyers Guides), Car Buyers Bill of Rights (AB 68) and a myriad of other Vehicle Code and Civil Code requirements (i.e., tire chain disclosures, after market accessories, service contracts, debt cancellation (GAP), etc.). A physical review of the dealership's inventory is conducted to determine compliance with federal and state laws mandating the presence of various notices on vehicles. Monroney (MSRP) stickers, Buyers Guides, bumper impact labels, parts content labels and supplemental stickers are reviewed by our staff for compliance with these various codes. The dealer's license and sales licenses are reviewed to ensure licenses are valid and posted in accordance with Vehicle Code requirements. Our reviews include an analysis into the processes and procedures employed by the dealership to comply with the Red Flags Rule. Our staff determines whether or not the dealership has implemented an Identity Theft Protection Program (ITPP), appointed an Information Security Officer (ISO) and requires the staff to follow particular protocol when evaluating credit bureaus that pose a risk of identity theft including the use of "out of wallet" questions, when necessary. Reviews include an analysis into the dealership's handling of official fees including but not limited to, registration, transfer and license fees, tire fee assessments, document preparation fee charges and smog fee charges. In addition, A.S.A. obtains the dealer's Administrative Service Fee assessments levied by the Department of Motor Vehicles on dealers for registration violations and reports these findings to the dealer principals.